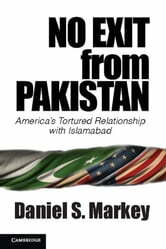 This book tells the story of the tragic and often tormented relationship between the United States and Pakistan. Pakistan's internal troubles have already threatened US security and international peace, and Pakistan's rapidly growing population, nuclear arsenal, and relationships with China and India will continue to force it upon America's geostrategic map in new and important ways over the coming decades. This book explores the main trends in Pakistani society that will help determine its future; traces the wellsprings of Pakistani anti-American sentiment through the history of US-Pakistan relations from 1947 to 2001; assesses how Washington made and implemented policies regarding Pakistan since the terrorist attacks on the United States on September 11, 2001; and analyzes how regional dynamics, especially the rise of China, will likely shape US-Pakistan relations. It concludes with three options for future US strategy, described as defensive insulation, military-first cooperation, and comprehensive cooperation.